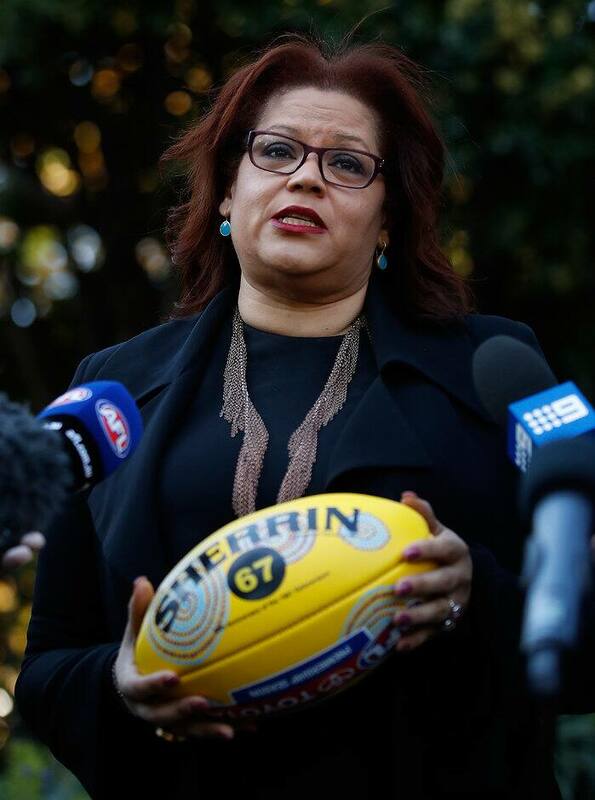 THE AFL'S general manager of inclusion and social policy, Tanya Hosch, says challenges remain in combating racism, but the League is winning the battle. Hosch's comments came ahead of the Sir Doug Nicholls round – a celebration of indigenous footballers' contribution – and after a Port Adelaide fan racially abused Adelaide star Eddie Betts last month. Saturday night's annual Dreamtime at the 'G clash between Richmond and Essendon remains the showpiece of the round. "What we're thinking about is how we can do more work to make sure that AFL games are a safe place for everyone – players, and the spectators who come and watch this great game," Hosch said. "We will be doing some more work to make sure all the people that come to our game – because it is a game for everyone – understands racism isn't acceptable. "We know we're going to have a lot of support from the players, the (AFL) Players' Association and the clubs in doing that." Hosch saw a silver lining in the Betts incident, which resulted in Power officials indefinitely banning the club member involved. "It can feel like (one step forward, one step back) but the reality is if people are reporting incidents, that's a very good sign," she said. "That means there are other people going to the football who don't want to hear it, so I think sometimes you can think more incidents perhaps make it seem like it's worse. "But I think the fact people are calling it out is a really positive sign and we need to encourage that." Hosch said those types of incidents needed to be treated "really seriously", but people's behavior and attitudes can change and lifetime bans should not be automatic. AFL chief executive Gillon McLachlan said this weekend's Indigenous Round would also honour the 50th anniversary of the 1967 Referendum. "It was a ground-breaking moment in indigenous affairs in this country, as we saw the removal of discriminating language against Aboriginal and Torres Strait islanders from the Australian constitution," McLachlan said. "It just gives that little bit more significance to Sir Doug Nicholls round this year. "It's a special day for our game (and) a special weekend for our game and ultimately, it's about celebrating the diverse nature of our game and the contribution of so many." Sir Doug Nicholls, who played for Fitzroy, was the first Aboriginal footballer to represent the VFL as a state player. A pioneer for reconciliation, he was also the first Aboriginal to be knighted and appointed to a vice-regal office. Former Essendon and Port Adelaide footballer Gavin Wanganeen, the 1993 Brownlow medallist, designed the ball that will be used throughout the round.